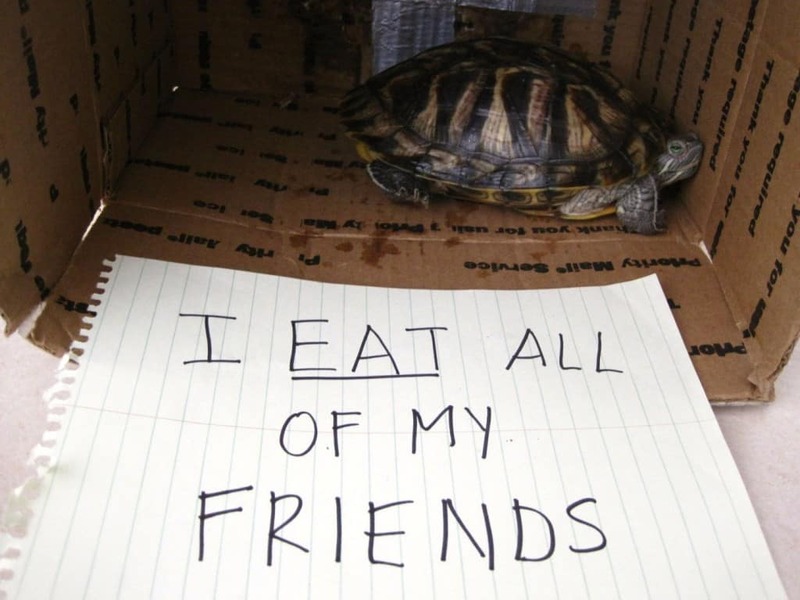 Dogs and cats aren’t the only pets that get shamed. 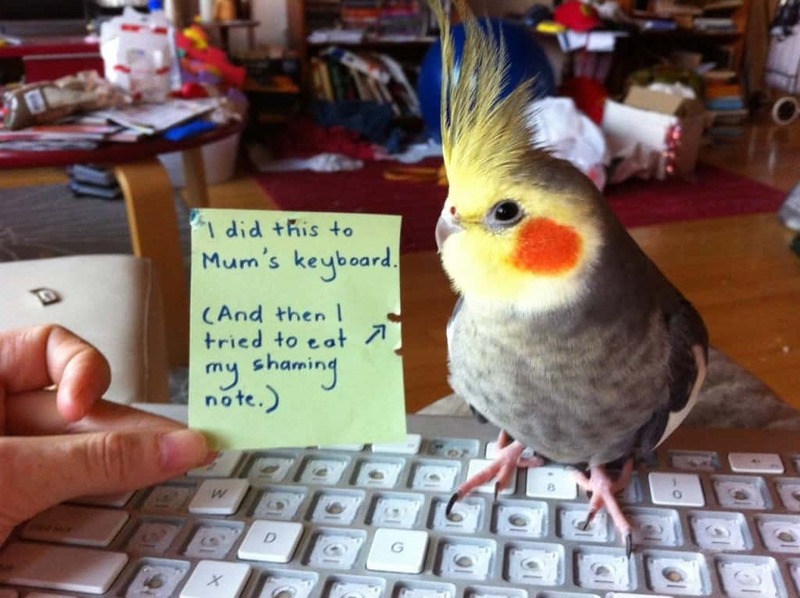 They aren’t the only pets that do rude, shocking and hilarious things to their owners. 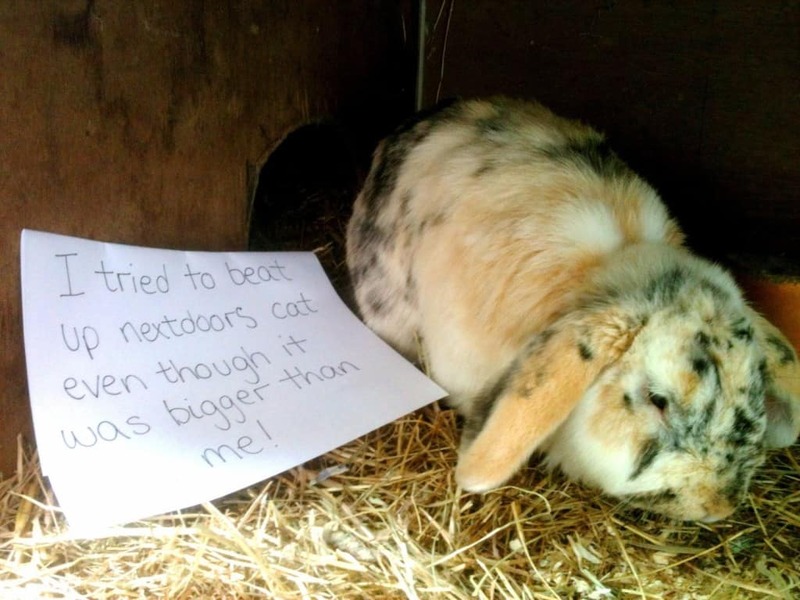 If you are the owner of a small pet, or even a farm animal, you will surely find a few laughs as you read through this list of pets that did something awful to their owners and in return their owners created a sign for them shaming them for their crazy behavior. If you’re lucky enough to have a pet that never does anything insane, like chew up your favorite shoes, eat your favorite plant, or have an “accident” somewhere you really wish they wouldn’t have, you are a rare pet owner! 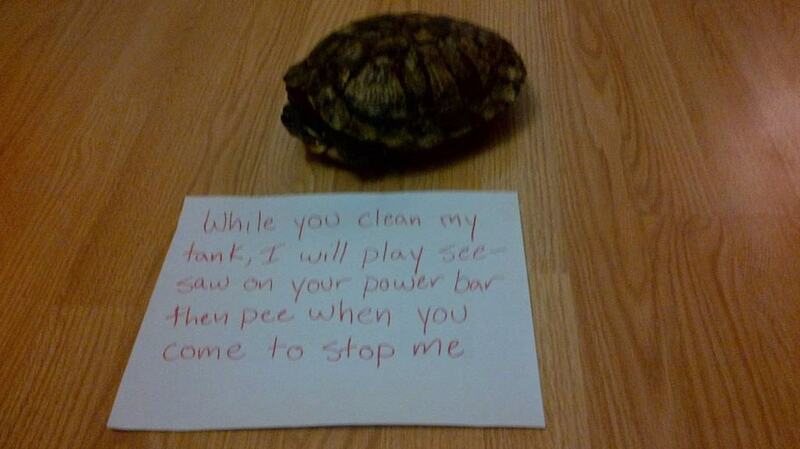 Whatever your situation, check out these hilarious pet shaming pictures below. 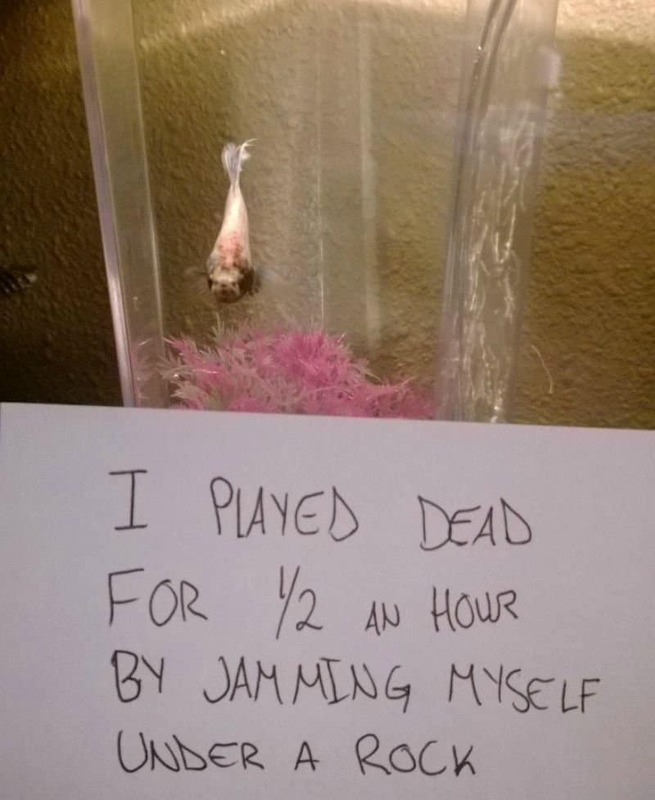 This fish made his owner think it was going to be time for a flushing. Good thing he revealed his deceit before he ended up in the toilet. 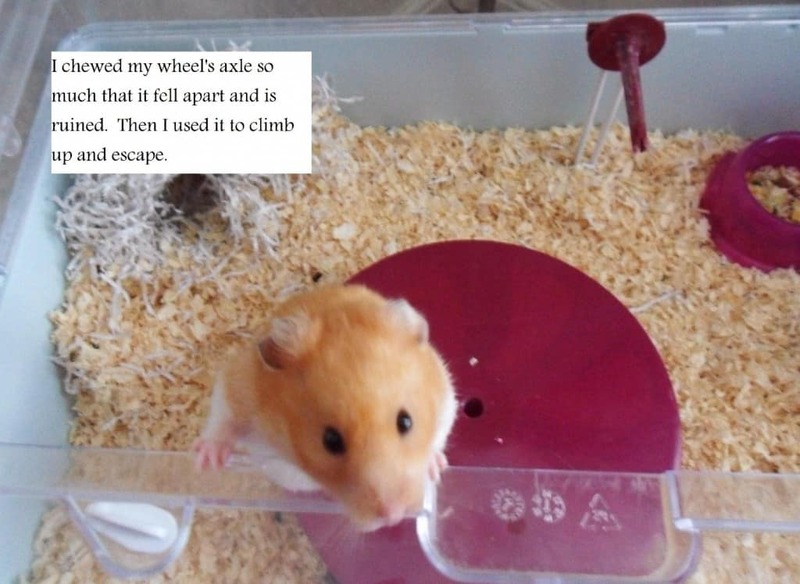 This hamster is pretty clever. He may have destroyed his main piece of entertainment, but it made a great way to commence his great escape. 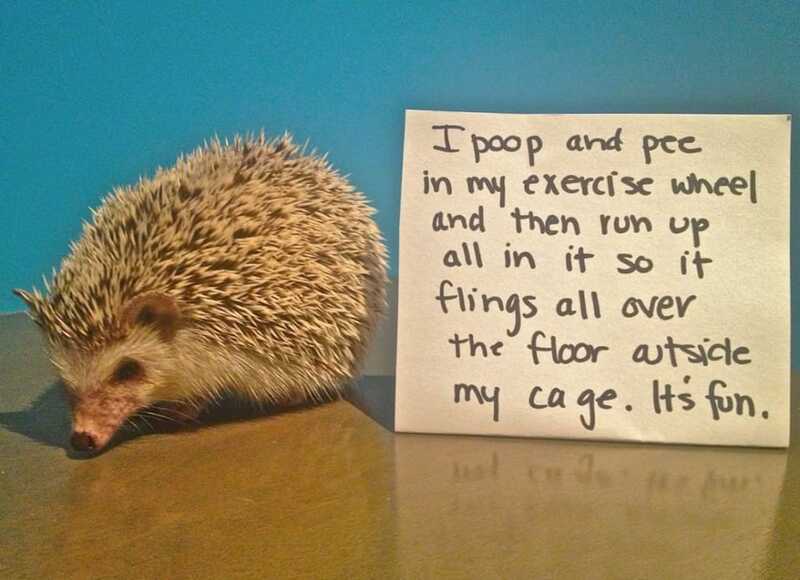 Hedgehogs are cute, but this one likes to make a huge mess and his owners aren’t letting him get away with it. 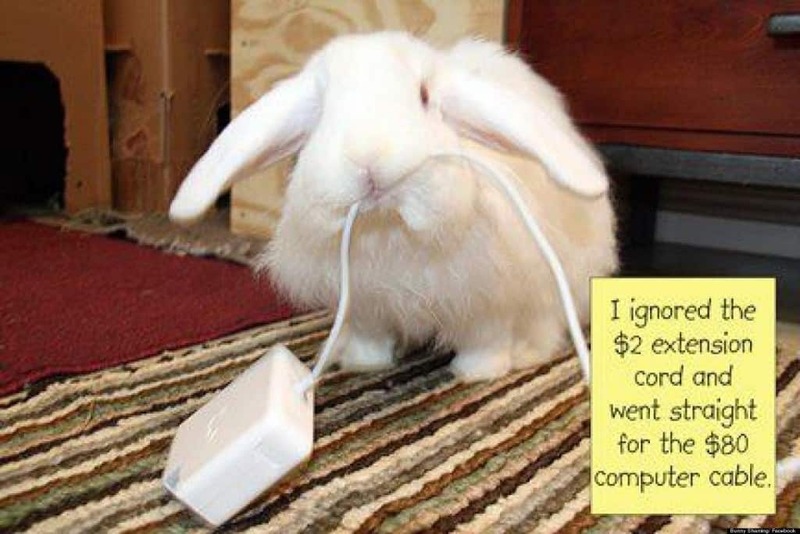 And you thought it was just cats and rabbits that chewed up cords. 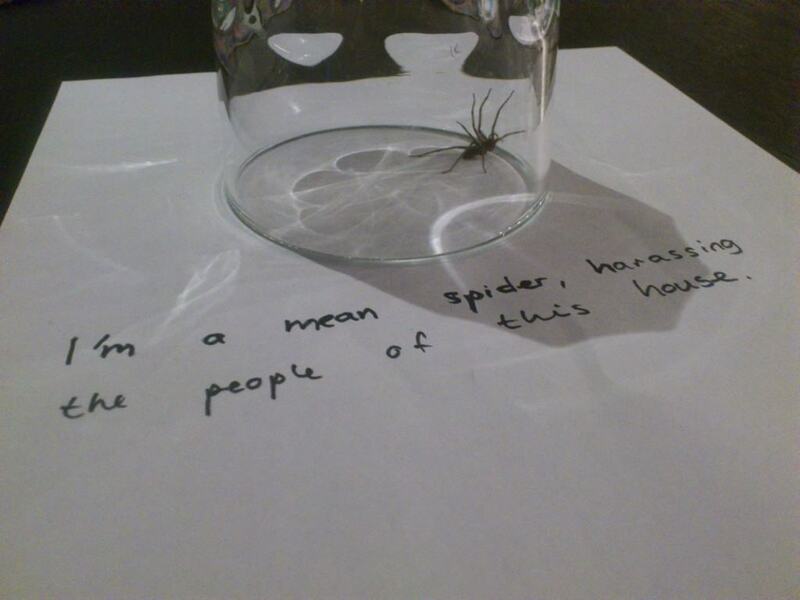 In this day and age even households pests aren’t safe from shaming! This turtle is just trying to have a little bit of fun. The pee could just be that he was startled in all his seesaw glory. 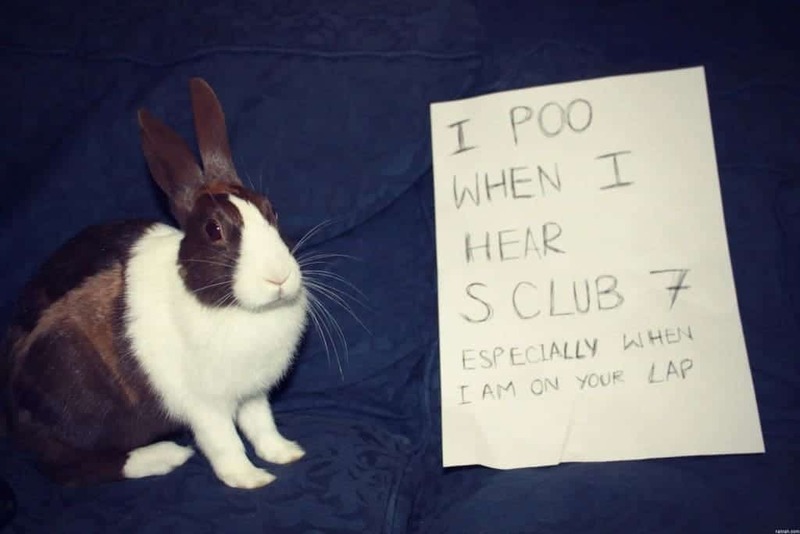 Bunnies are a great pet and totally cute, but when they start pooping on you, they get shamed. 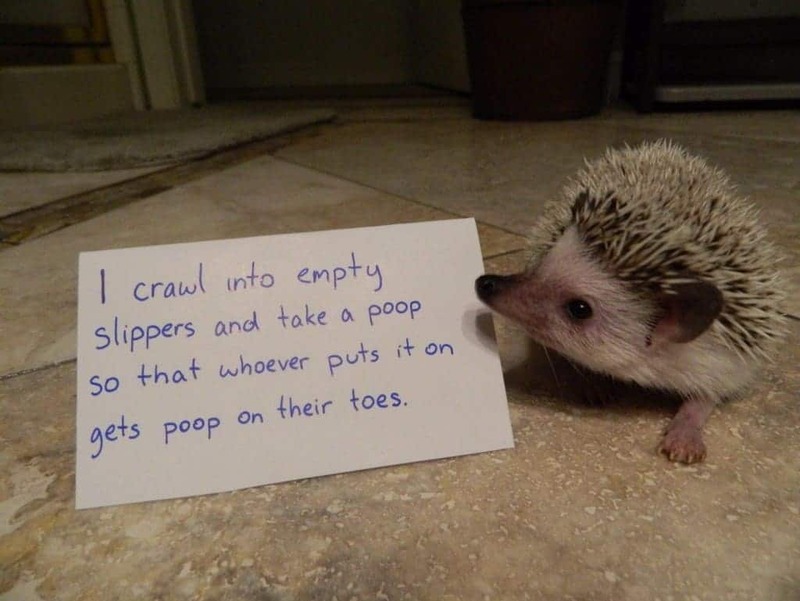 It appears the hedgehogs really enjoy pooping! 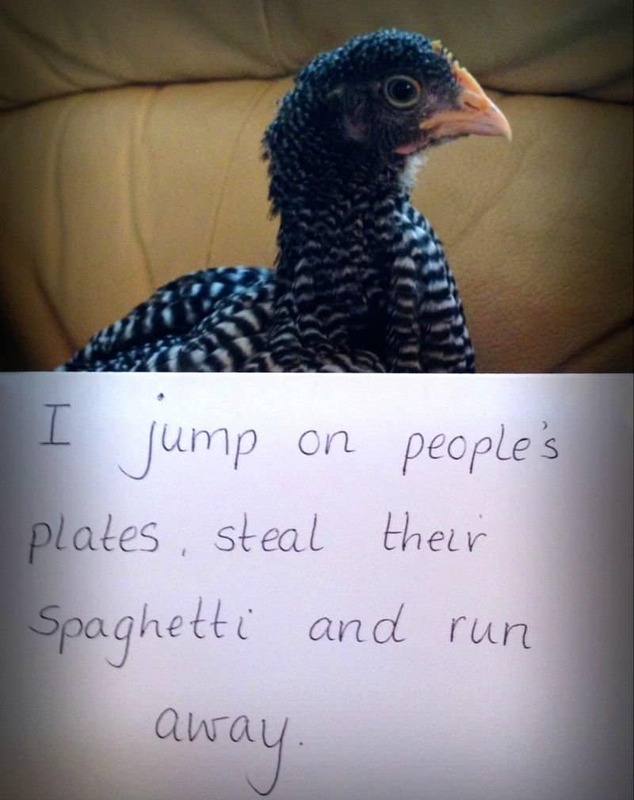 The real question here is, why is the chicken in the house? This is how you teach your pets not to fight, you shame them, even for picking on other species that are bigger than them. 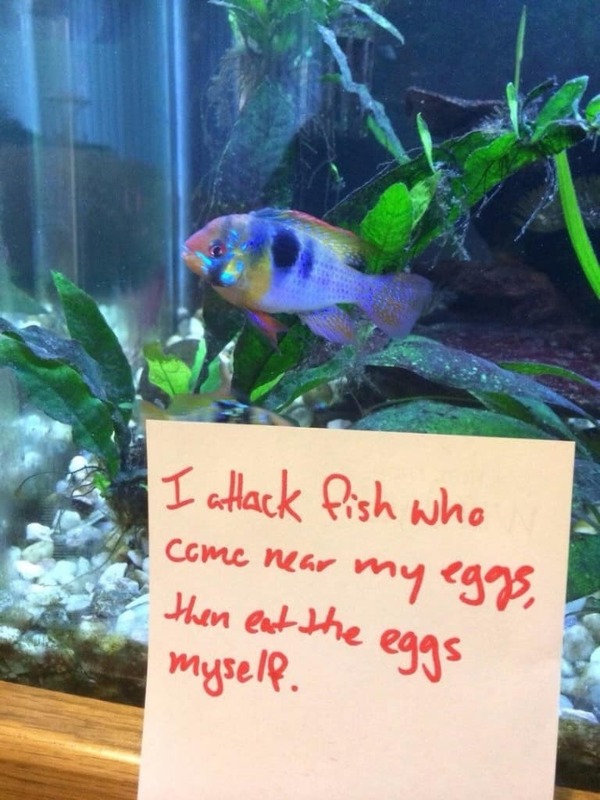 This cannibal fish loves its eggs so much that it saves them for its own dinner instead of letting others eat them. This rabbit just felt like he needed more fiber in his diet. 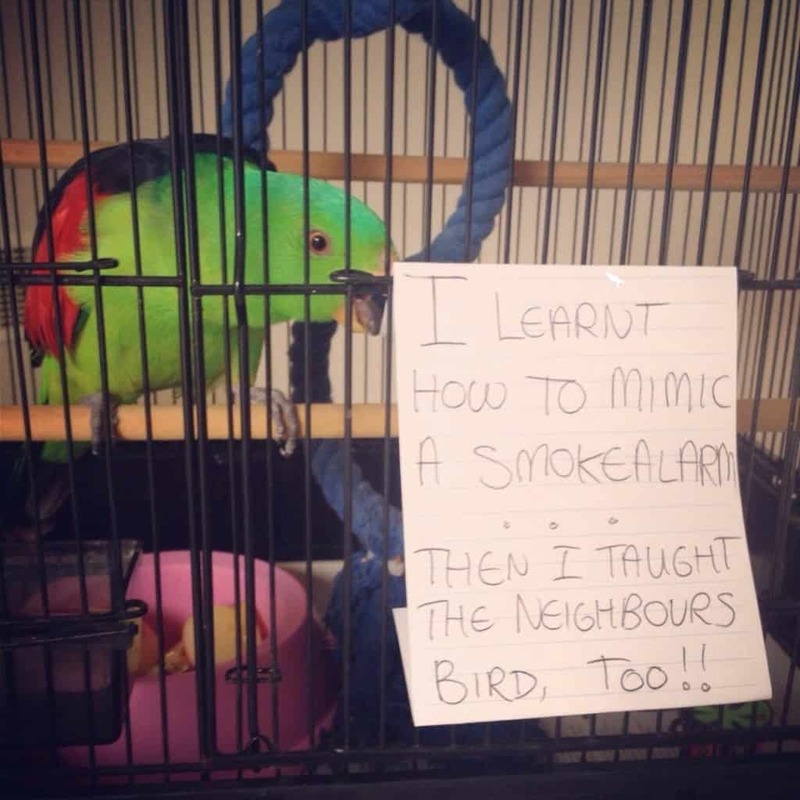 This bird is a naughty bird, and he does a good job of teaching his bad habits to others. 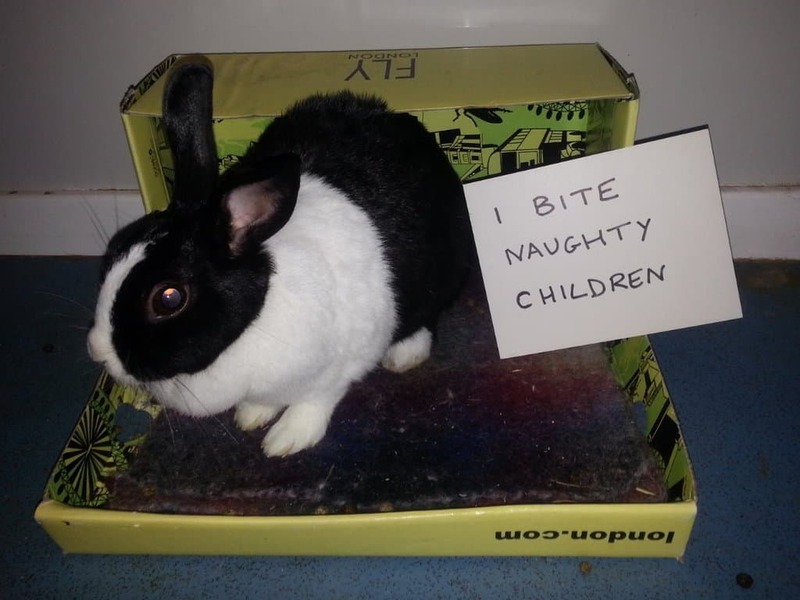 Seems to us like this rabbit is helping to teach children to be good. This snake needs to stay off the table, and maybe work on bowel control. 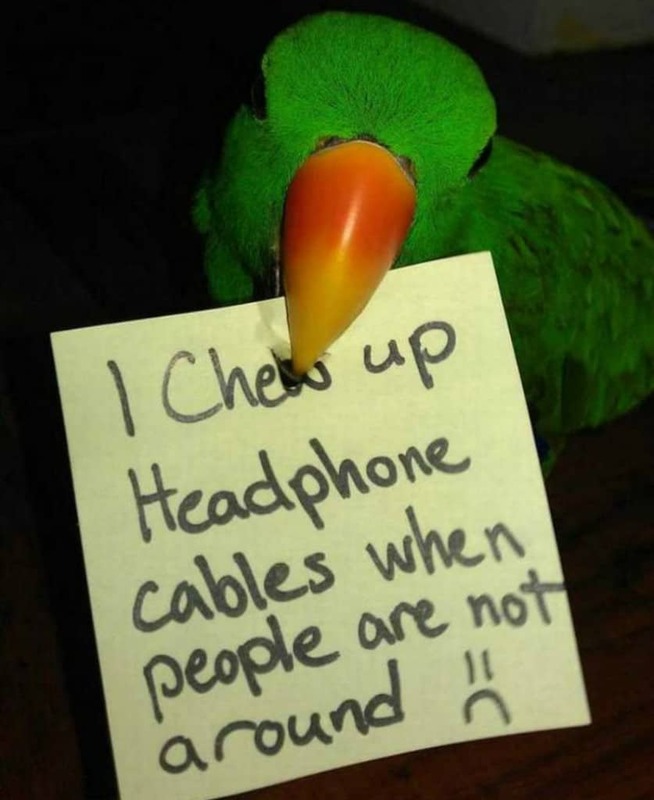 Some birds do bad things with their beaks. 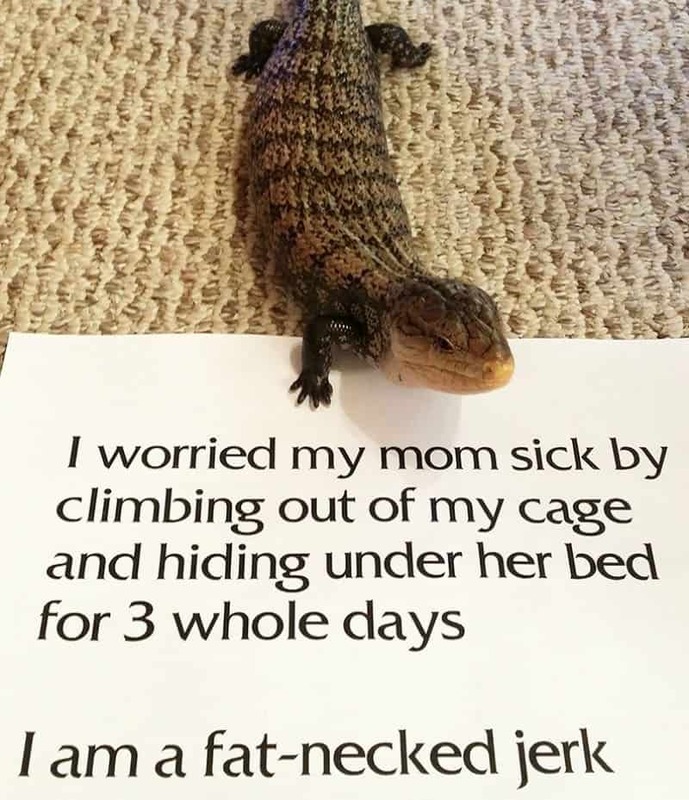 When your reptiles get out and hide for days, you worry for more than one reason. This horse eats material. 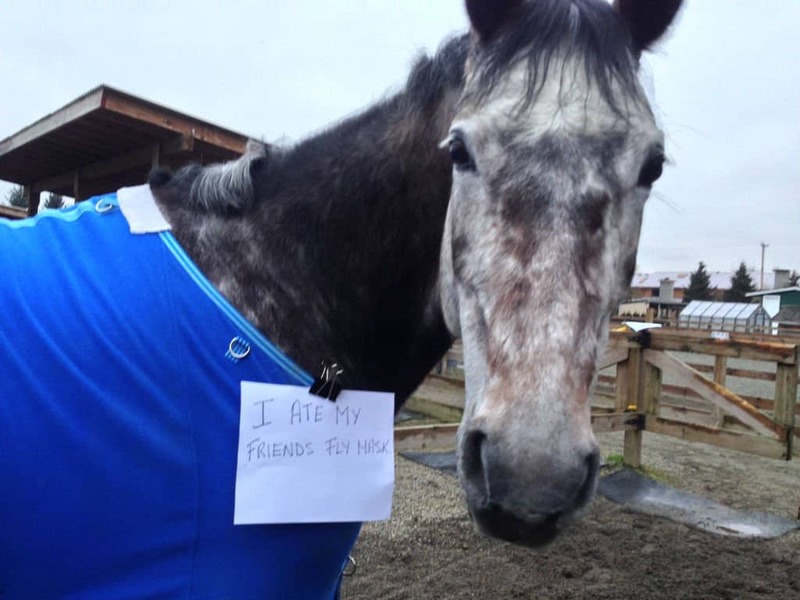 This horse is a jerk. Next he’ll be stealing people’s pants right off their bodies! 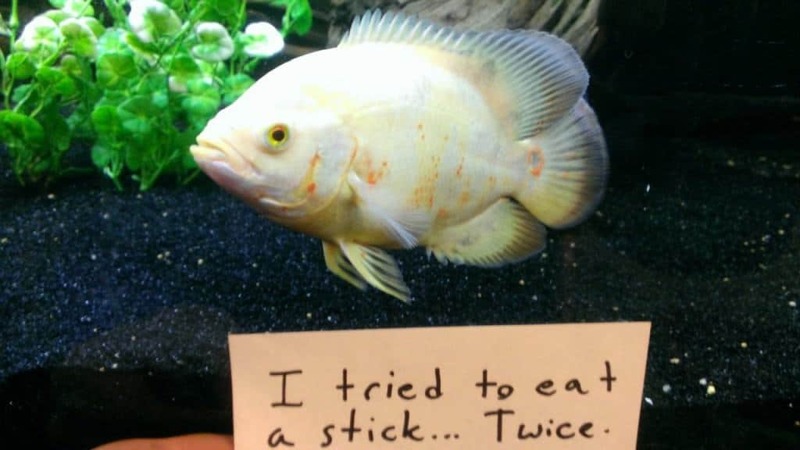 This fish would eat anything that looked as though it was threatening him!